The design and counting of scaffolding structures can be a time-consuming, tedious process. This free AutoCAD plug-in from Avontus assists in the rapid creation of complex 3D scaffolding structures and virtually eliminates the counting process by providing a bill of materials in just a few simple steps. The installed templates contain all of the data necessary to draw the most common scaffolding equipment, but you can also easily add any custom components or non-standard lengths. 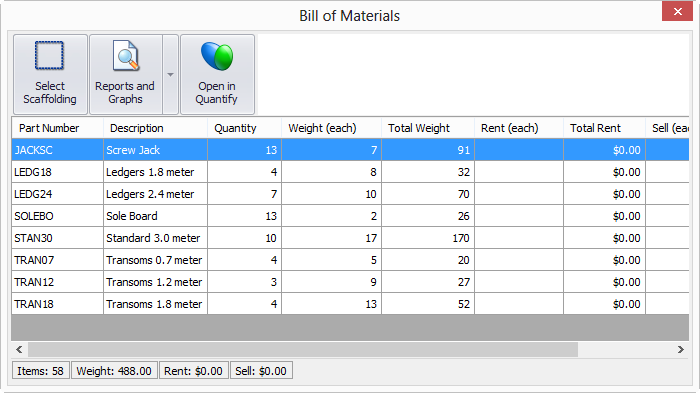 The resulting bill of materials has several reports and pie charts that you can print, email, and export to Avontus Quantify, Microsoft Excel, Microsoft Word, and PDF. Prerequisite: AutoCAD versions 2012, 2013, 2014, 2015. Both 32 and 64-bit are supported for each version. To install you will need to create a free account and log in. Note that the installer and all files are digitially signed by Avontus Software Corporation. The drawing templates can be freely modified and are installed to your \Documents\Scaffold Counter\Templates\ folder. 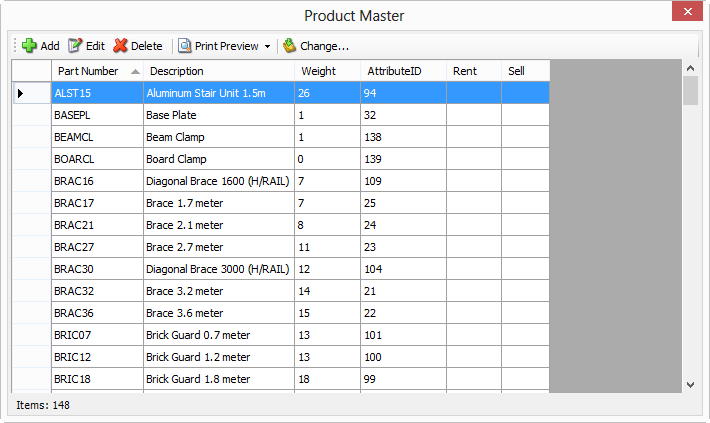 You can share changes you make to the Scaffold Counter material master with others, simply share the scaffoldcount.parts file located in your \Documents\Scaffold Counter\Data\ folder. This free plug-in installs shortcuts on your desktop to drawing templates for common scaffolding equipment manufacturers. Double click on one of these drawings and turn on your NODE Osnap (only). The node snap points are located at connection points for the scaffolding, allowing you to easily combine components into scaffold structures. Scaffold Counter provides a solution to customers around the world. Some of the most common systems are included. You can also add your own equipment systems, sizes, as well as customize the default templates provided. Frame and Brace scaffolding, common in the US and Canada, can be created with this shortcut. This template also contains putlogs, stairs, pedestrian walkways, tube and clamp, and many others. Common in Australia, some locations in the UK and Africa, double clicking on the Kwikstage icon on your desktop will open the Kwikstage template. This template also contains tube and clamp. The ring-type system is common across the globe and can be created with this template. This template also contains tube and clamp. Select the scaffolding. This button dismisses the dialog box, allowing you to select the scaffolding that you'd like to count. 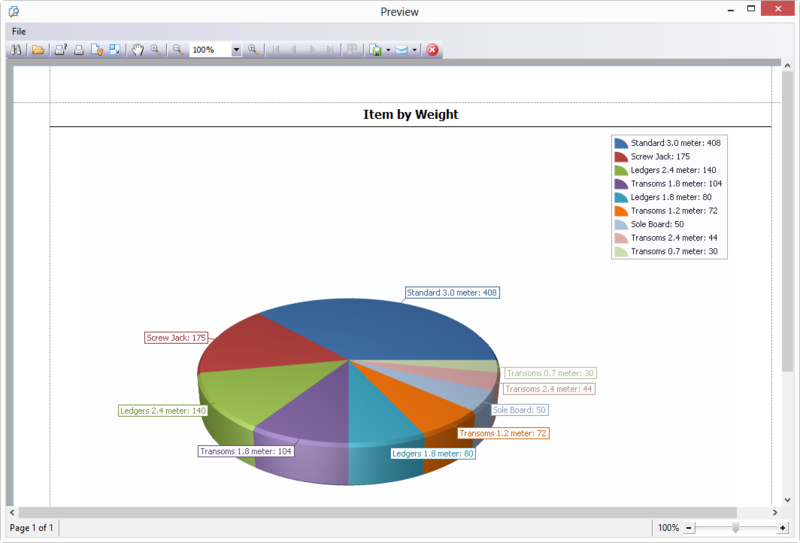 View reports and graphs in a print preview window by clicking on the Reports and Graphs button. All reports and graphs can be exported or emailed in Excel, Word, or PDF format. 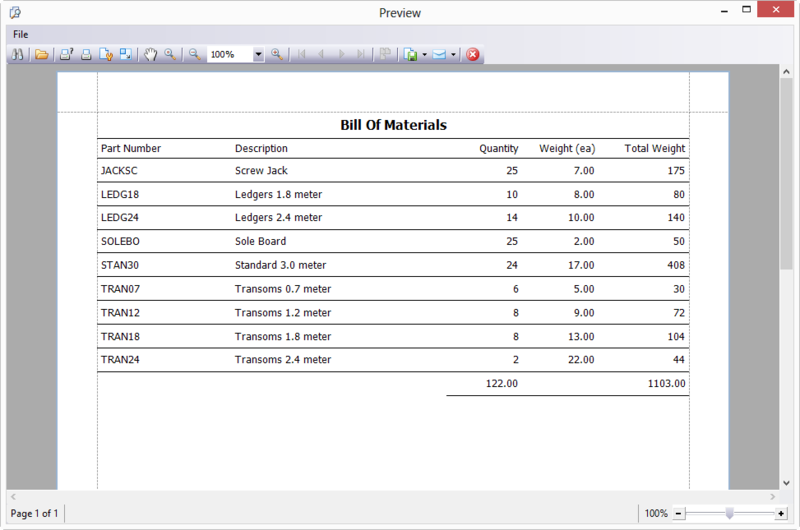 Open the bill of materials in Avontus Quantify. This will be imported as an estimate, which can then later be converted to a shipment or a scaffold tag. If you'd like to modify the default scaffolding pieces (description, part number, weight, etc.) in the template or add your own parts, you can use the CHANGEPARTS command. To add a new part, click the Add button and note the Attribute ID. After adding the part here you will need to add this attribute and count of the attribute to the block definition that you'd like to use. See instructions below for adding your own scaffolding parts. To edit an individual part, highlight it from the list and click the Edit button. This displays the details in a dialog box that you can change. A report is provided by clicking on the reports button. The report can be exported or emailed in Excel, Word, or PDF format. To change the items en-masse using the Change button. You first create a tab separated text file with the part number and whatever item you'd like to change, then use the change button to modify these values. Note that any mofications made here are saved to the scafffold.parts file, located in \My Documents\Scaffold Counter\Data\. You can share this drawing with others, or backup/restore to a new computer. Be sure to keep a backup of this file with any modifications you've made. There are several options for integration with Avontus' rental/hire billing and asset tracking software, Quantify. If you have Quantify installed and wish to open your BOM directly into a Quantify estimate, click on the Open in Quantify menu item. After you log into Quantify the parts are matched with your Quantify list and imported into a new estimate. Warnings will be issued if scaffolding pieces are not matched and you can optionally display a list of these items. If you don't have Quantify installed you can export the BOM to a file and share it with a Quantify end-user. Within Quantify, click on the import button on the estimates tab to select and import the file. Warnings will be issued if scaffolding pieces are not matched and you can optionally display a list of these items. Create a drawing of your scaffold part. Create your new part using the CHANGEPARTS command, make note of the attribute ID that is created. Create an attribute named PARTS placed next to the entities that you'll create a block out of. Within the attribute place a tag with the attribute ID and quantity separated by a semi-colon. If needed, copy one of the Scaffold Counter blocks, explode it, and use the attribute found there. You can place multiple [attributeID]:[quantity] items in a single tag to represent a block that contains many parts. See the frame scaffold frames for an example; these blocks contain a frame as well as two couplers. Test your block by issuing the COUNTSCAF command to make sure the proper part and quantity appear. You may want to add your parts to the template drawing that ships with Scaffold Counter. These templates are stored in your \My Documents\Scaffold Counter\Templates\ folder. Robust reporting is built directly into Scaffold Counter with automatic detection of either A4 or Letter papersize. The BOM can be printed with rental/hire rates, weights, and sell pricing. There are also several charts to see the ratios of weight compared to the overall list. Additionally, the reports can be saved to Microsoft Excel, Word, and PDF. Click on any of the tiles below for a larger view of the screen grab. Please double check the weights of all equipment. The ring system is in lbs and Kwikstage is in kg. Note that due to the varying manufacturers represented, the frame and brace catalog does not include weight. You can easily modify the weights with the CHANGEPARTS command. Avontus and Quantify are registered trademarks of Avontus Software, Inc. Please email sales@avontus.com with comments or feedback. Please feel free to make recommendations for additonal scaffold systems or parts/pieces that you find missing. © 2008-2019, Avontus Software Corporation. All rights reserved. Avontus and Quantify are registered trademarks of Avontus Software, Inc.